Uttar Pradesh Chief Minister Akhilesh Yadav on Thursday gave the green signal to elections to student unions in all universities and colleges in the state which had remained suspended during Mayawati's rule. "The Chief Minister directed revival of students unions in all universities and degree colleges in the state after assuming the charge", an official spokesman said here. Akhilesh said students unions elections would be held in all higher education institutions and all universities and degree colleges should be informed about the decision immediately. Elections to students unions had remained suspended during BSP rule, which led to widespread protests by student leaders across the state. SP had promised to restore student unions if elected to power. In fact, Akhilesh himself had led an agitation for restoration of the students union, considered as nursery of politics in UP. 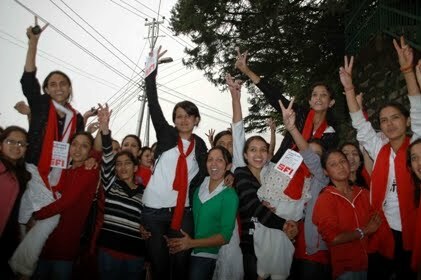 The student union polls were last held during SP rule in October 2005. The elections were due in 2006 but could not be held following recommendations of JM Lyngdoh committee, they said.